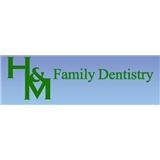 H&M Family Dentistry (Aurora) - Book Appointment Online! We are always welcoming new patients and we would love to have you as part of our dental family. We are proud to provide a state-of-the-art facility for the highest quality dental care available. It is one of our top priorities to protect the well-being of our valued patients. For this reason, our office meets and surpasses all OSHA (Occupational Safety and Health Administration) and CDC (Center for Disease Control) standards. We are confident that you will feel right at home in our office as we welcome all patients as if they were family. I was very comfortable and very pleased with all aspects of the care I received. The insurance coverage was explained very well and a plan which I could comfortably afford was set up. After my appointments I had no discomfort.This is the first dentist visit I feel 100% satisified with. A good experience at any dentists office is unusual at least for me, but I would highly recommend Dr. Gao. He and his staff are great!